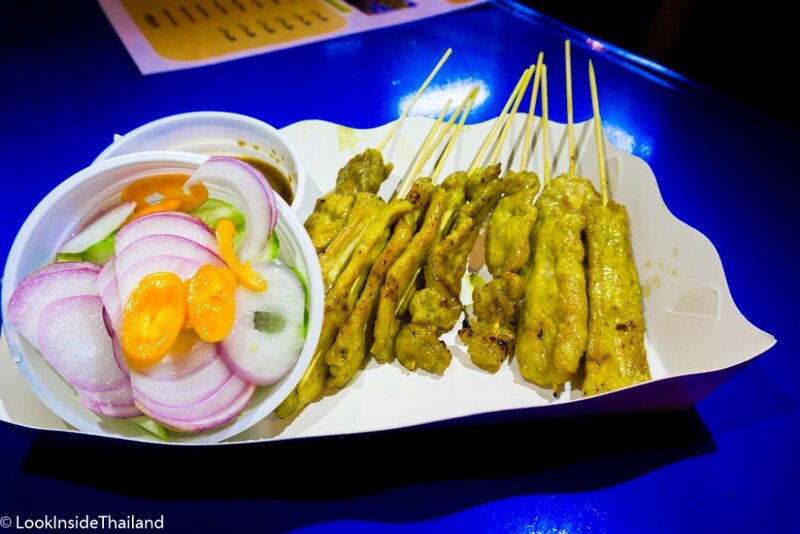 Satay is the real Thai street food, it’s simply cooked meat on a stick. Easy to eat anywhere and delicious! But there’s more to it than just juicy tender kebabs! Let’s find out! You can find all types of meats and seafood on sticks in street carts all over Thailand, but that doesn’t mean it’s satay. Satay gets its name from the sweet and spicy peanut sauce that is used for dipping. Slices of beef, pork, pork belly, chicken, and squid are marinated and grilled over hot coals, usually on a long narrow metal grill. The street vendor will line dozens of kebabs on the grill and use a brush to coat the meat with another layer of marinade then after a minute or two, flip it over and grill the other side. 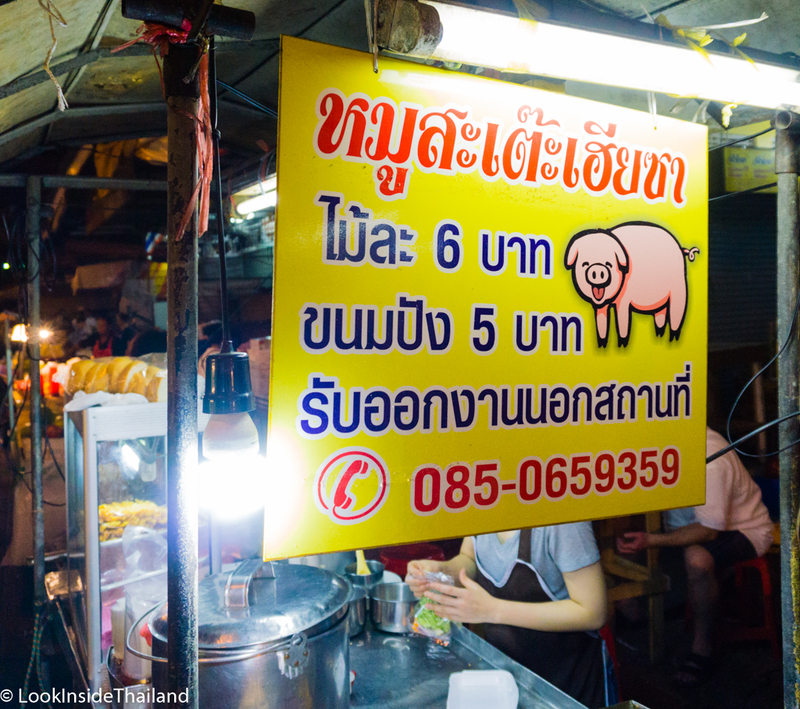 Most street vendors will make you buy a set of 10, which is enough to share with friends…but sometimes I eat all! 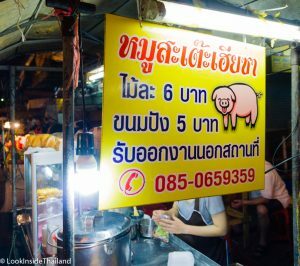 The street vendor will load the kebabs in a tray or plate and add the delicious peanut sauce to the tray or in a bowl. The last thing is the ajat, which is a bit of cucumber, chilis, and shallots in vinegar. It’s a snack for your snack! 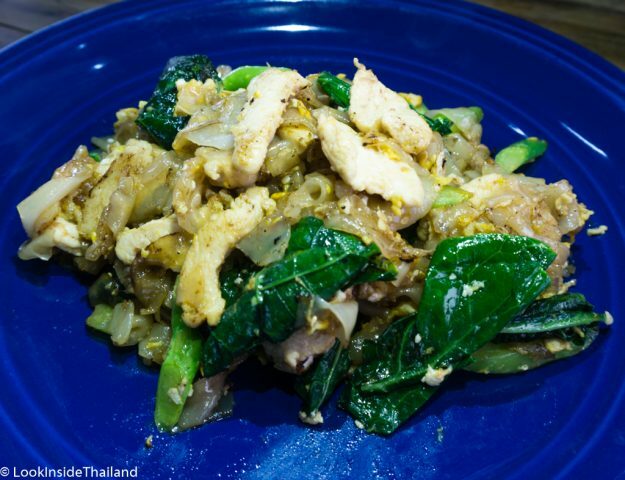 It helps to tone down the spicy of the peanut sauce and is very refreshing. I like to dip the satay in the peanut sauce lightly, but you might want to pile up some sauce on one side. It’s up to you, there’s no wrong way. 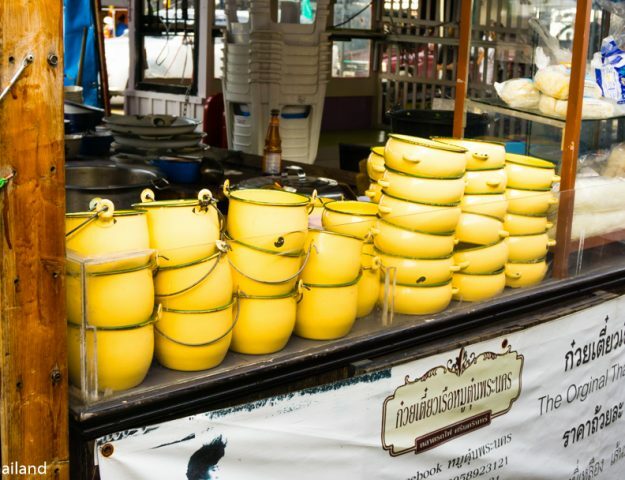 It’s a perfect food for walking through the market or relaxing and enjoying the view.